Which Blockchain Platforms will be used to build Real Time Settlement? Will Blockchain tech enable real time capital markets settlement? Who will create Real Time Settlement? If you have to compromise, do it on B. The scale of the opportunity – eliminating credit and market risk – is plenty big enough. So if you have to hire some top-notch C programmers steeped in real time financial systems, the budget will certainly allow for that. However the attributes of Scalable, Reliable, Fast, Secure are totally non-negotiable for something as mission critical as Near Real Time Capital Markets Settlement. A Proof of Concept that fails on these attributes is no better than a Powerpoint mock-up. In 1995, being able to code HTML made you a tech star (who could command premium rates). 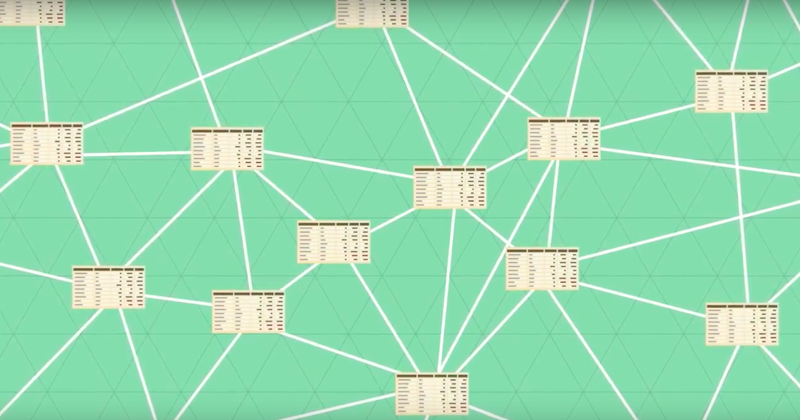 In 2015, being able to code Blockchain made you a tech star. However the mission of platforms such as Ethereum is to make coding a decentralized Blockchain based system as easy as coding a centralized hosted service. So the premium rates will go to people who a) can create a compelling customer experience and b) have a clear business proposition and know how to market it – just as it is today with apps running on a centralized hosted service. So, what platforms will deliver on the Scalable, Reliable, Fast, Secure attributes? The short answer – none as yet. These are early days and much of this technology is bleeding edge. That is why we are still in the Proof of Concept experimentation phase. Nothing has been deployed at scale yet. Bitcoin transaction validation uses a consensus algorithm known as Proof of Work. Some new consensus algorithms are being developed that will lead to faster confirmation time and increased transaction throughout. Our conviction is that one of these new consensus algorithms will be needed to meet the Scalable, Reliable, Fast, Secure attributes. Some Bitcoin with your Blockchain Platform, Sir? If you do want some Bitcoin with your Blockchain Platform, go with Blockstream, the VC Funded venture that created the Sidechain technology. Blockstream uses Sidechains as a two-way peg with bitcoin. Complex transactions go off to a different blockchain and then come back to the bitcoin network. The transaction validation is through the Bitcoin miners and the Proof of Work consensus algorithm. If you don’t want transaction validation done using the open Bitcoin network, go with a platform that uses it own coin and consensus algorithm to do validation. For example, Ethereum does not rely on bitcoin. In other words, there are no bitcoin miners verifying the transactions. This enables more complex applications to be created, not limited by things like bitcoin block size or the time taken for miners to verify transactions. (You could create a Sidechain using Ethereum). Velvet Rope or Street Party? Real time settlement requires thousands of banks to participate in a network. For example, SWIFT has 9,000 member banks. Even if you assume double that number, it is tiny in comparison with a consumer application. This is a velvet rope private party, which is more suited to go with a platform that uses it own coin and consensus algorithm to do validation. Ethereum does look like the one to beat. Disclosure:I have been an Ethereum fan since I spotted it in the summer of 2014 and wrote about an early Ethereum MeetUp in London in October 2014 – but I don’t have any financial interest in Ethereum. There has been validation from Big Tech – both from IBM and from Microsoft. This will make big Banks and existing intermediaries feel safe when choosing Ethereum. Real Apps are starting to appear in the wild such as Augur. Forks of Ethereum are starting to appear. Yes, this may make choice a bit more complex but think of this like Linux. You choose Linux/Ethereum as a primary decision and the distribution/fork as a secondary decision. In this context, each fork is validation for the platform. “our platform is different, there is no way you can compare what we do to what the others do”. However at a practical level, developers who want to build an application, have to make a choice. Given this much confusion, most developers hedge their bets to some degree through clean interfaces and layering – so that if they have made the wrong bet they can switch to a different platform relatively easily. However, developers still have to choose a platform to get started with. Adequate Funding: Platforms need enough funding to be properly developed and supported. Source of Funding: The motivation of the investors matters to developers in the long term, as it can force the platform in a direction that may not be in the interests of application developers. When selling trustless systems, the motivations of investors comes under the spotlight. The traditional VC model has been augmented by Currency Issues of some kind or another and these also raise motivation concerns. Commercial model: Most of these platforms are open source. Some are aiming at a Red Hat type model. Others want to make money from a currency that they control. Others want a piece of the application pie. Developers need to understand the commercial model and decide if they are comfortable with it. Trust model: Who do you need to trust? Some such as Ripple and Stellar require trust in a currency controlled by an institution. Ease of development: This can be a personal decision i.e different developers find different things easy or hard. Developers look for something that uses a choice of familiar languages and that abstracts the complexity of a decentralized network. Today we are in the experimentation phase where application developers are building their MVP and through this they are learning what is genuinely easy to use. Performance & Reliability: It is too early to tell. One hears theoretical arguments for different platforms, but we will have to wait until it is possible to have third party testing of apps on different platforms. Bitcoin, Alt or None: This is a heated debate at the moment. Many people think that Blockchain platforms shoulduse Bitcoin and that is why many people back Counterparty and Blockstream. The should argument is irrelevant to most application developers, who just want to know whether their app needs Bitcoin or an Alt based currency or no currency. Layer in stack: Some people critique Ethereum for attempting too much. In this view it is better to offer less functionality at a lower level in the stack. Maidsafe and ERIS position in this way. This appeals to developers who value control (perhaps over speed to market). This is a fast-moving market with new offerings coming to market all the time. Please tell us – in comments or on Twitter – if we have missed any. If you have had direct experience building applications for these platforms and have a point of view, please chip in.